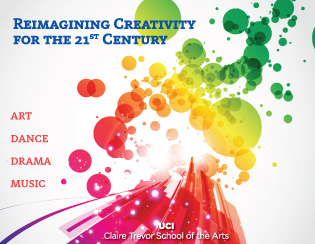 As UCI’s creative laboratory, the Claire Trevor School of the Arts (CTSA) explores and presents the arts as the essence of human experience and expression, through art forms ranging from the most traditional to the radically new. Our international faculty works across a wide variety of disciplines, partnering with others across the campus and beyond; our internationally-ranked programs in art, dance, drama, and music begin with the development of skills but end in original invention, in the freeing of the imagination. Our students come to UCI, and to CTSA, to experience new vistas of creativity, and to learn to become citizen-artists, to sharpen their skills and talents in order to become active molders and shapers of the creative enterprise, the leaders of tomorrow’s world culture. Welcome to UCI - CTSA!